Pediatric brain tumors encompass a heterogeneous group of diseases. For many tumors, such as low-grade glioma and standard-risk medulloblastoma, the long-term survival rate is high. Clinical investigation for these diseases in recent decades has focused on addressing late effects of therapy, in particular the neurocognitive effects of cranial radiation. Chemotherapy has been used effectively in many settings to delay radiation, to reduce radiation dose and volume, or to replace cranial irradiation entirely. For other tumors, diffuse intrinsic pontine glioma most notoriously, prognosis remains abysmal and currently available treatments are primarily palliative. 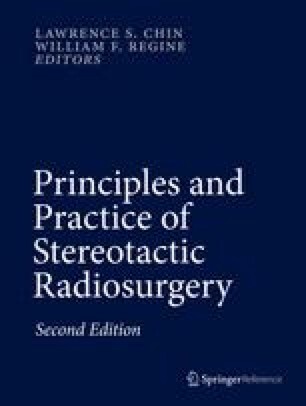 Stereotactic radiosurgery (SRS) has advantages over other therapeutic modalities in certain settings and has a role in the management pediatric brain tumors. That role is limited, however, by the propensity of pediatric neural tumors to disseminate along cerebrospinal fluid (CSF) pathways or to infiltrate surrounding brain.